Esports is attracting a massive audience, and viewership is growing. The industry engaged 380 million fans in 2017 and is expected to grow to 590 million by 2020. At a global level esports has reached 88% of people aged 18 - 39 in some capacity. Esports is so pervasive because it is a global industry, with a universal appeal. It has robust fan engagement and engages younger audiences through technology in a way that we aren’t seeing in traditional sports, or any other content producer for that matter. The esports industry has had significant year-over-year growth (+38.2% in 2018 so far) and is just beginning to be tapped. Do to low barriers to entry, and the connections fans feel with their esports idols through social media (Twitch streaming, Twitter, etc.). This has drawn the attention of major sponsors, like CocaCola and Red Bull. These big name brands see esports as the perfect opportunity to reach the traditionally inaccessible male aged 18-25 target market. 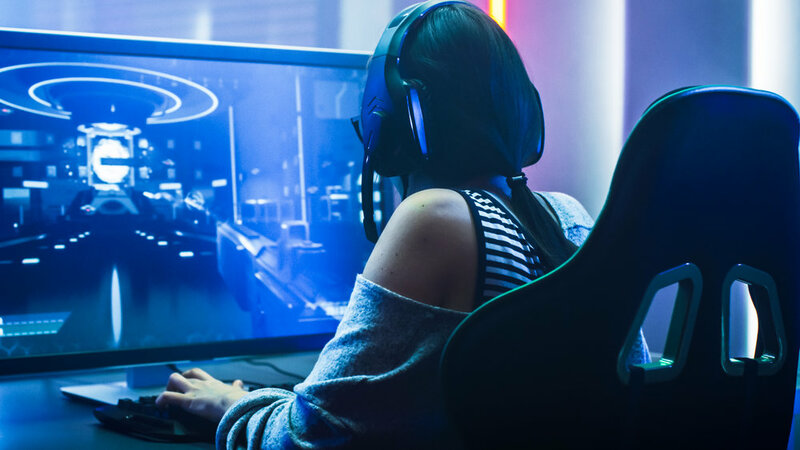 Since esports have been launched into the public sphere, the industry is exploding and its strengths will continue to propel the industry in the upcoming years. With rapid growth comes limited infrastructure. There are many participants in gaming, but there has been little progress made in creating a development pathway or formalized training. This has led to a lack of education around professionalism amongst esports athletes. This has caused a serious backlash in different situations. Industry regulations of oversight have also been slow to develop. Major issues that come from this lack of infrastructure concern travel, health and safety, and defined competitive seasons. There are also no regulations over the ownership of the uberous amounts of data the industry generates. This lack of regulation has even led to players not being paid. While esports has been exploding, there is still some hesitation outside the ecosystem about what esports even is. The lack of education has been a roadblock for some sponsors, parents, and the traditional sports industry. Cheating has also been a problem (just like in sports) that has emerged from the professionalization of the esports industry. The types of cheating include a player playing under another’s name to boost their ranking, through drivers/hard drives/internet access windows, using the crowd, drug usage, and match-fixing. Professionalism has just started being raised as an issue within the esports ecosystem. Players - win or lose - have just spent the majority of their career in front of a computer, and not in front of a crowd. Further, they may have even been rewarded for explosive and unprofessional behaviour while streaming by enthusiastic fans. Establishing training programs and education around their new status as role models, and clarity about the consequences for unprofessional behaviour is a huge opportunity for all of the esports ecosystem. By creating development pathways and structured esports programs in schools, participation will continue to grow. Having a larger participation base will increase the level of play and continue to enhance the fan experience across all esports. Already, training facilities are beginning to pop up to groom the younger generations for careers in esports. With a lack of infrastructure leading to some players not being compensated by their professional teams, players are always looking for new ways to monetize. These gamers also come from the most tech-savvy generation. 75% of gamers wish they could exchange their virtual goods in games for a digital currency (Engin is trying to fill this void). Esports betting could also lead to further monetization for esports players. Team Liquid fans cheer at The International 7, a Dota 2 tournament. As a result of a global fan base, it is difficult for sponsors to target specific markets. With sponsors unsure of how to get involved, or not seeing a return on the investment, they could turn down the opportunity to participate in the industry. There are also so many games that fall under the extremely broad ‘esports’ term creating a very segmented and spread out fan base. This creates potential for different esports to struggle if they are only popular in specific markets. While some games, like League of Legends, have been around for a while, and seem to have cemented themselves as an esports staple, the industry is very volatile. As computer graphics and design continue to improve and new games are released (ie. Fortnite) any game can lose popularity at any time. This means esports players also need to be versatile, adapting to new games as well as specializing. Esports has a reputation for encouraging lazy health and fitness habits - eating poorly, sitting in a chair, staring at a computer screen for many consecutive hours (see South Park WoW episode). This is a PR problem for the industry and makes parents very nervous when their kids show interest in esports. For further insight into the Esports industry, and how it operates sign up and receive our full report!